A dark, cloudy day at Mt. Tabor Park. It’s about to rain. It’s a blustery first day of autumn; time to start a new blog. My last post on my old blog was about my trip south in the dead of winter for what turned out to be my ailing, elderly mother’s last days. I went down again to help my sister go through our parents’ things and clear out the house–so much stuff! I wrote a lot; just not my blog. I finished another novel, tentatively called Hostages. Before my mom’s death, I was busy sending stuff out and working on my “platform,” but in the past months, getting my work out into the world wasn’t important to me. I only cared about the writing itself. Now I have to decide what to do with these books I’ve written; whether to self-publish or go the traditional route and query agents… Meanwhile, I’m revising and editing to make it my best work. When I wasn’t writing, I took lots and lots of photographs. During the sad times, wandering around with a camera seemed to help more than anything else, even though I didn’t know anything about photography. It got me to notice things and kept me in the present moment. I just aimed the camera and pushed the shutter button. Doing it was what counted. My sister, Carolyn, and I are in the middle of an online photography class at Flying Photo School, and for the first time, I’m learning about ISO, shutter speed, aperture, and a lot more about what goes into taking a photo–there’s so much new stuff to remember and take into account. Now, I have about the same percentage of photos that come out well, but I’ll keep practicing until the settings are as natural to me as breathing. It’s math, really–like learning long division, but unlike division, it’s fun! 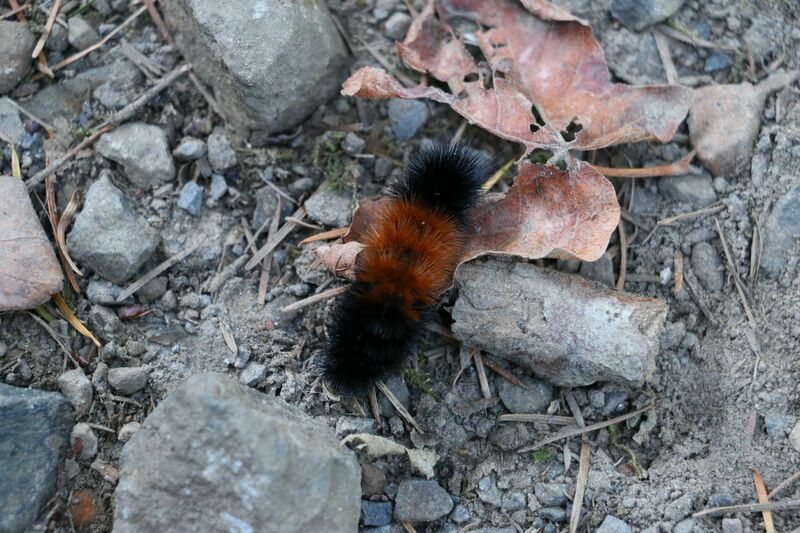 In the woods, wooly bear caterpillars are all over the place, predicting a harsh winter. It was a steamy, muggy summer. Today I revel in the sound of wind in the trees and falling rain. The air smells of rain and chimney smoke. I’m looking forward to the fall colors. Tags: autumn, bereavement, caterpillars, fall, Mt. 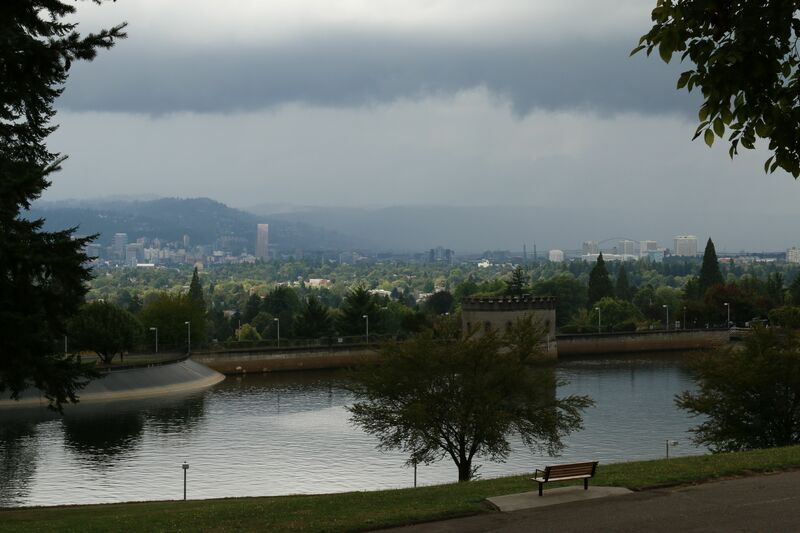 Tabor Park, photography, rain, stormy weather, Writing | Permalink. So happy for you that you are in the midst of such creativity and awareness, Kate… I look forward to hearing more from you on your blog… well done!